Mr. Senathirajah, the head of the LTTE's political divison for Batticaloa town succumbed to his injuries Tuesday around 1.30 p.m. He was shot and wounded by gunmen suspected to be associates of renegade LTTE commaner 'Karuna' on 5 July. 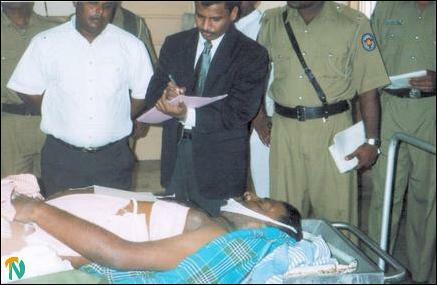 He was receiving treatment for his wounds in the intensive care unit of the Batticaloa hospital.